If you have recently been diagnosed with astigmatism, or you have worn glasses or contact lenses to help counteract the condition for some time, you can feel reassured that you are one of many. It is estimated that as many as a third of Americans are affected by astigmatism, a refractive eye condition that is characterized by an unusual-shaped cornea. How is astigmatism different to regular vision? When we view an object, light enters the front of our eye, known as the cornea, and is refracted onto the back of our eye where the retina is based. The retina then has the crucial job of sending up messages about what we can see to our brain, so that our brain interprets it correctly. Astigmatism occurs when the light that enters our eye to enable us to see properly curves incorrectly and is caused by the cornea of a patient with the condition being an unusual shape. Most healthy corneas are curved like a basketball, with the same degree of roundness all the way around. However, patients who have astigmatism have corneas that are shaped more like a football, with some areas being steeper or flatter than others. When the light hits the eye of a patient with astigmatism, the messages that the optic nerve in the retina receive may vary, depending on which part of the cornea has received the light and how it has been refracted. This means that the patient may interpret objects as blurred or elongated. Many patients do not realize that they are suffering from astigmatism until they are diagnosed. 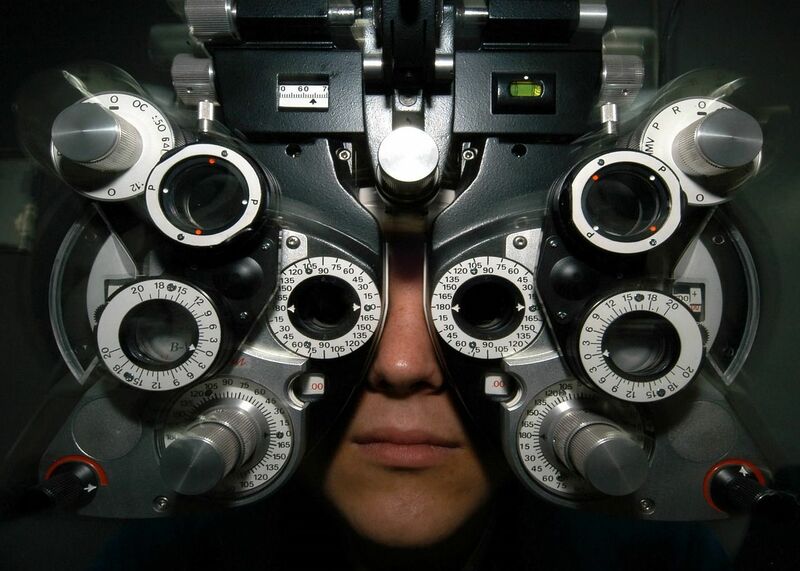 In most cases, we will be able to determine the condition from a simple sight test. The shape of each patient’s cornea, much like a regular refractive prescription, is unique. The units used to measure astigmatism are known as diopters. A perfect cornea with no astigmatism has a measurement of 0 diopters. Most patients have between 0.5 and 0.75 diopters of astigmatism. Patients who have a measurement of 1.5 or more typically rely on glasses or contact lenses to obtain clear vision. Spherical: this indicates whether you are near or far sighted. A far-sighted prescription will begin with a + sign, while a near-sighted prescription will begin with a – sign. The higher the number, the stronger your prescription is. Cylinder: this measures what degree of astigmatism you have by judging how flat or irregular your cornea is. Axis: this is measured in degrees and refers to where on the cornea the astigmatism is located, ranging from 0 to 180. Can the level and angle of my astigmatism change? If so, how often? Unfortunately, astigmatism prescriptions can change and often do so with advancing age. Small changes to the shape of your cornea can often cause large changes in the axis measurement, although these are rare. If the axis has changed by more than 90 degrees, you may wish to clarify this with our eye doctor, as a variation this large is quite unusual. Although most astigmatism changes happen over a period of years, it is not unheard of for them to occur over a much shorter time span. It’s important to schedule routine eye exams, so we can perform a thorough check of your eyes to ensure that they remain healthy. If there are any underlying issues causing your astigmatism measurements to change significantly, they should be detected at this stage. If you would like more information about astigmatism, or you have been diagnosed and are concerned about how your prescription has changed, our dedicated and knowledgeable team would be happy to advise you.